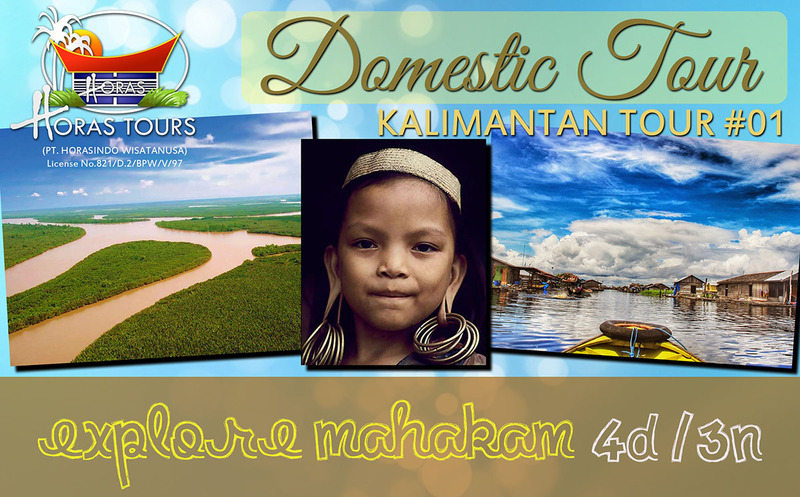 Kalimantan Package 1 EXPLORE MAHAKAM Duration: 4D-3N “No blackout dates” Drift away in fascination along the great Mahakam River and enjoy the towering beauty of Kalimantan’s pristine rainforest, century years-old villages and the extraordinary way-of-life of Dayak tribe. Row in the journey of a lifetime; visit Kota Bangun, Muara Muntai, Mancong & Tanjung Isuy and experience first-hand the colorful and compelling culture of Dayak people. DAY 01: WELCOME TO KOTA BANGUN Balikpapan – Kota Bangun Upon arrival at Sepinggan airport in Balikpapan, our guide will welcome you and take you on a 5-hour drive to Kota Bangun. Due to long transfer time, we advise you to take early flight with arrival to Balikpapapan before 1pm. Check in at hotel. DAY 02: CANOE TRIP TO MANCONG Kota Bangun – Muara Muntai – Mancong – Tanjung Isuy After breakfast, we’ll kick start the Mahakam experience with a canoe ride to visit Muara Muntai. Take a look around the wooden village, local market, and then float away to Mancong, passing by fisher village of Jantur, Lake Jempang and Ohong River. Try to spot the red proboscis monkey blending with the tree along the way :). Upon arrival at Mancong, enjoy a warm welcome ceremony performed by the indigenous Dayak Banueq Tribe. Next we proceed to Tanjung Isuy and prepare for authentic overnight experience in the traditional Long House, the famous native two-story building of Dayak residence. DAY 03: FRESH WATER DOLPHIN PERFORMANCE Tanjung Isuy – Kota Bangun – Tenggarong After breakfast, we’ll head back to Kota Bangun and watch the friendly fresh water dolphin performance. Have lunch at the city and leave to Tenggarong for overnight stay. Check in hotel and free activity at your own time. DAY 04: SEE YOU NEXT TIME Tenggarong – Balikpapan After breakfast at hotel, our guide will transfer you to the airport for your next destination.